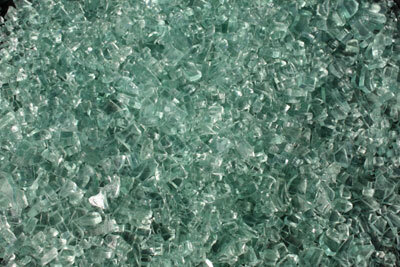 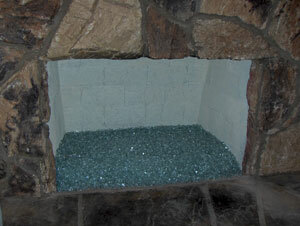 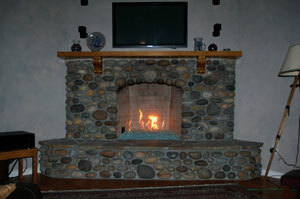 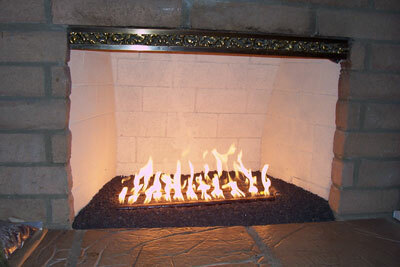 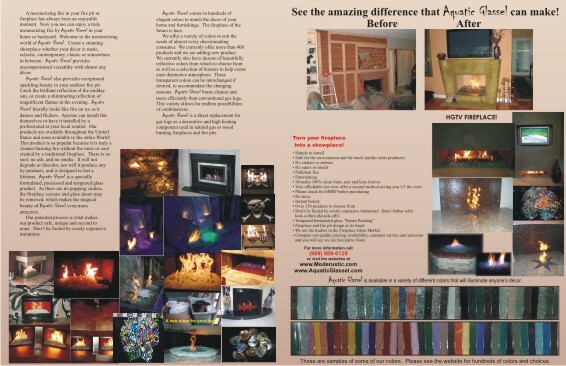 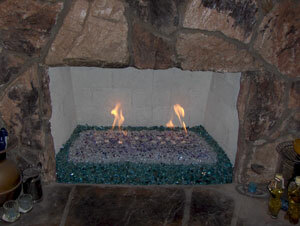 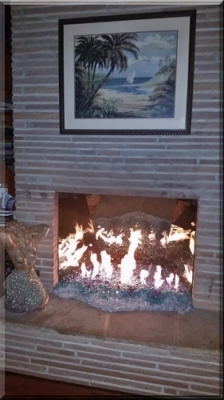 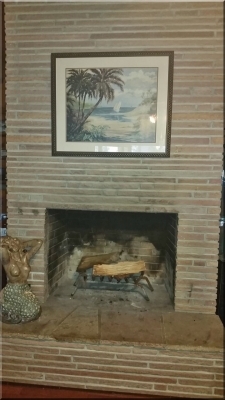 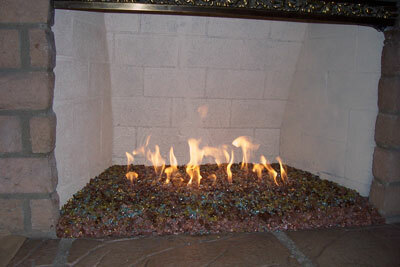 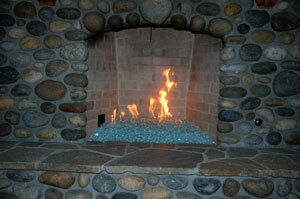 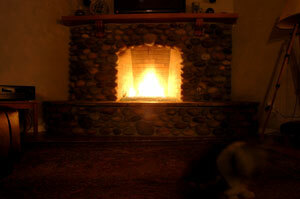 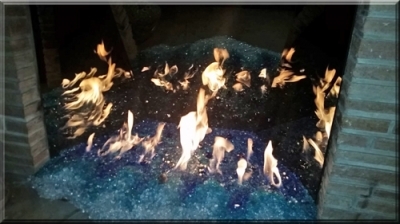 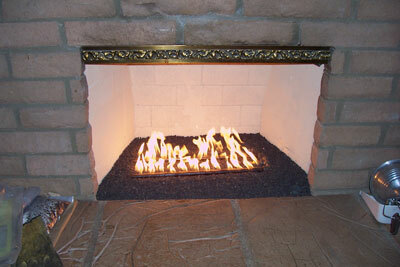 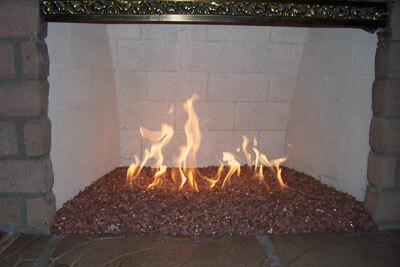 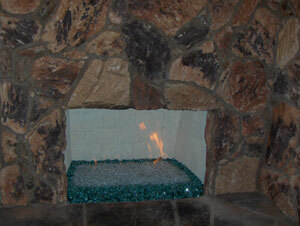 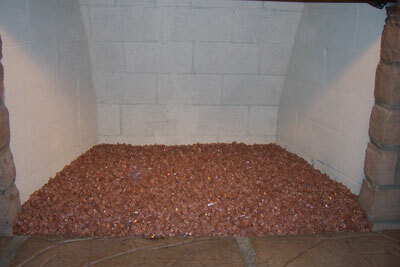 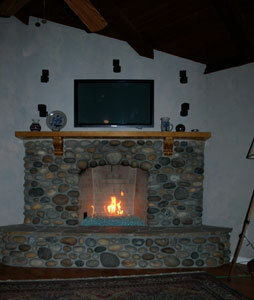 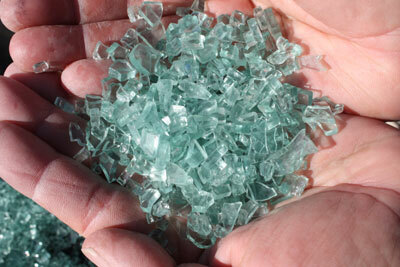 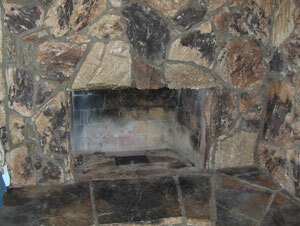 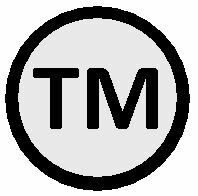 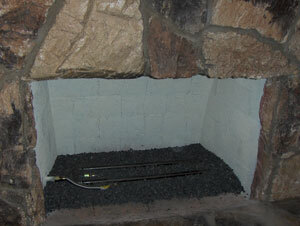 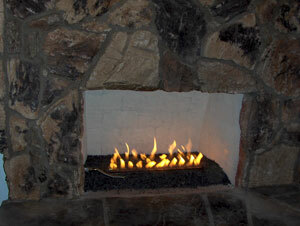 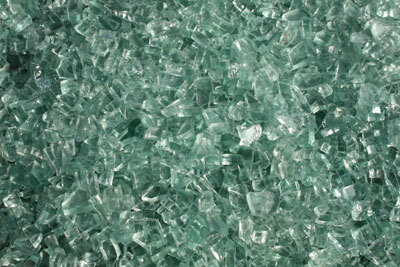 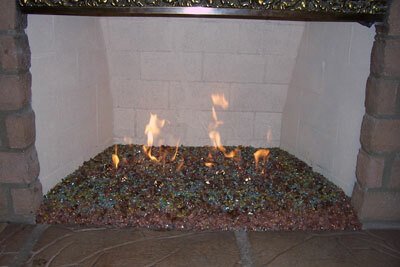 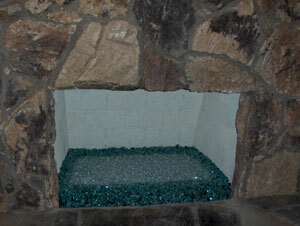 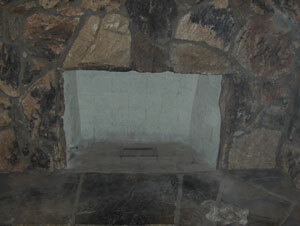 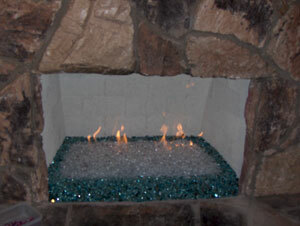 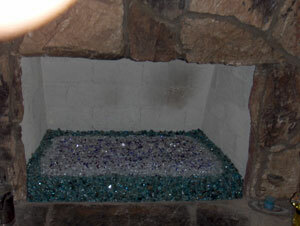 Solex a light Green FireGlass burns safely in natural gas and converted propane fireplaces. 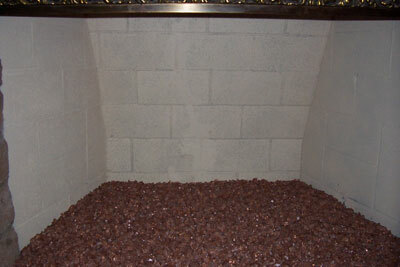 For a lava fill In the base it needs to be back at least 4" so when you pour the glass on you won't see the lava through the glass. 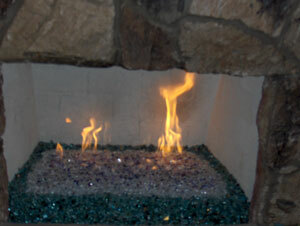 Yes they did move the lava back after they e mailed the pictures to us to see if they were doing it right.